No, no, no.. I’m not going to lay one on you. That would just be way too personal for our online relationship, wouldn’t it? Oh, all right… just because we’re tighter than a double-knotted corset on an oversized gorilla princess. 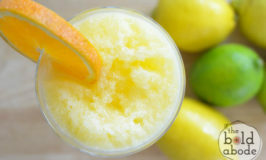 Ok. Let’s cool down with a Triple Citrus Slushie, shall we? 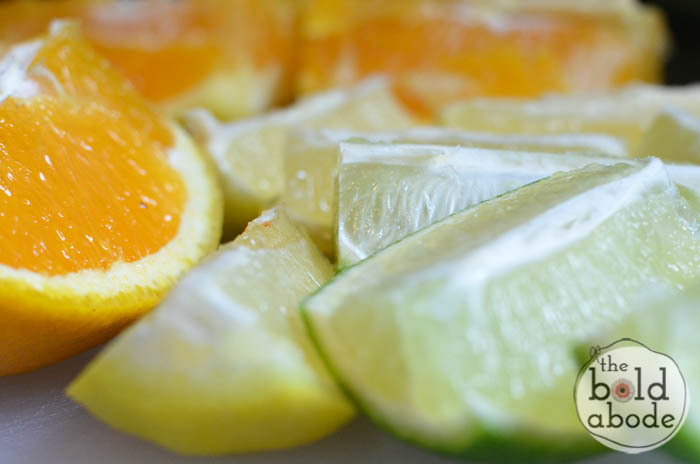 First, grab an orange, a lemon and a lime. 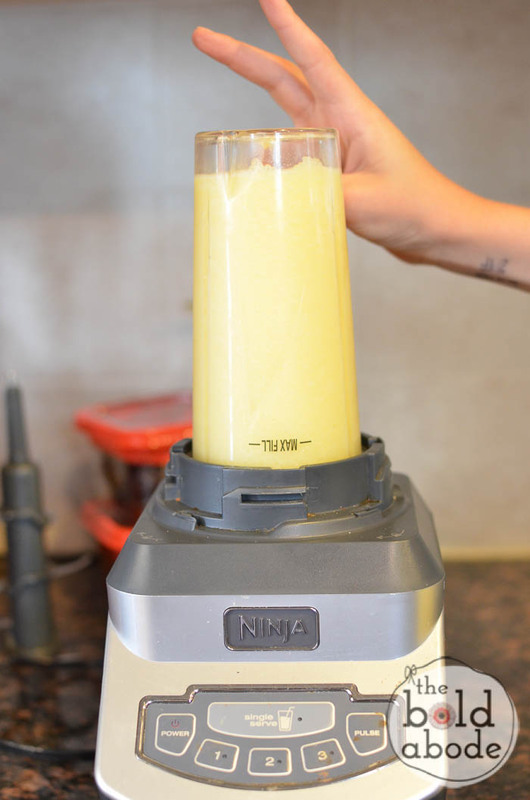 This will make enough juice for two individual Slushies. 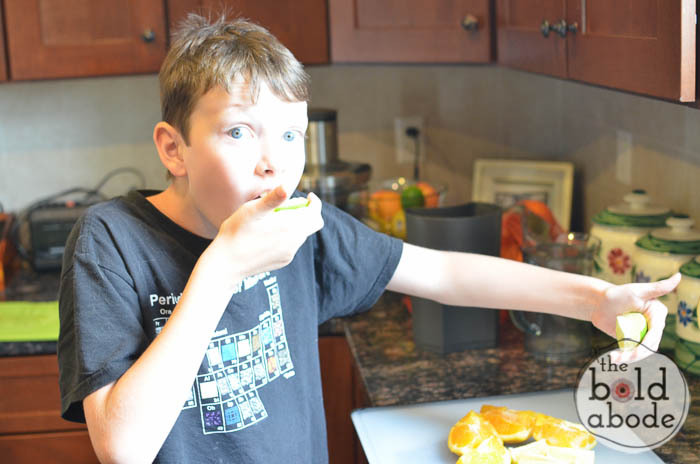 Next, beware of any citrus lovers that may be stalking you as you are trying to juice your citrus. Shoo them away and juice your fruit. 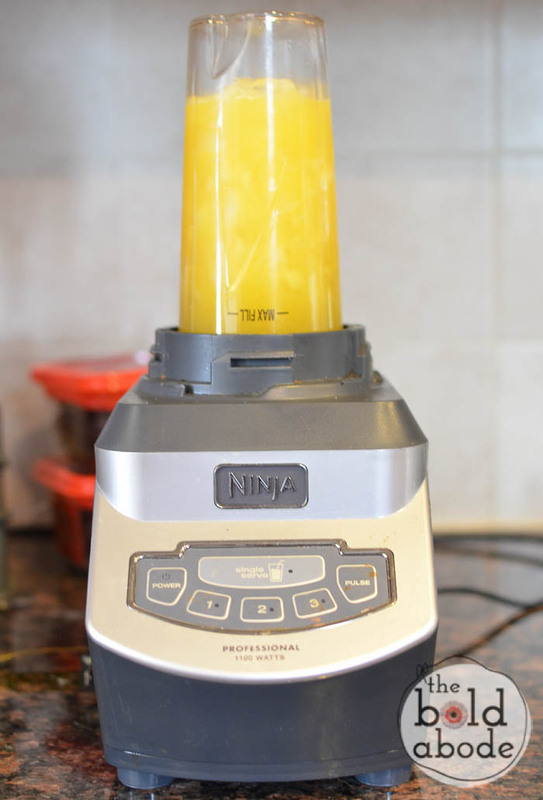 Check this post out to see what I use and love for juicing my fruits and veggies. Dilute it with water. I added 10oz of water to my 10oz of juice and it was perfect. and it came with two single serving cups. IT’S AWESOME. Let me take just a minute and tell you about this. These little single serving guys are like truly having fourteen tiny sized Ninjas whirling around and slaying your ice. I’m not even exaggerating. 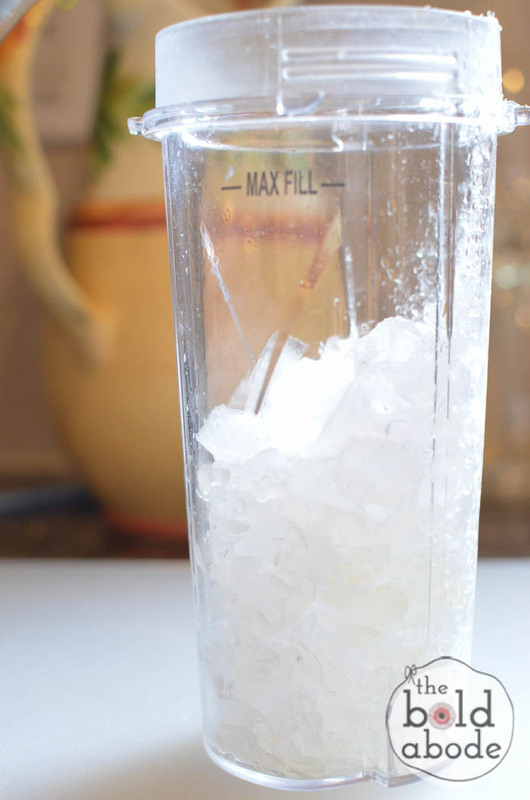 I used to have a “Smoothie Blender” and it left chunks of ice in it and it was gross. Not this baby. It’s bad-a$$. Totally worth every stinking penny. 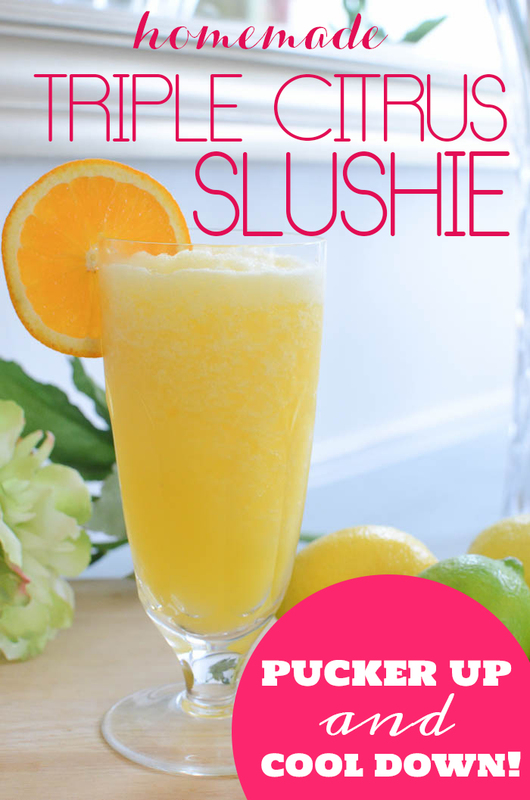 Ok, done proselytising… back to the Slushie. Fill your single serving guy about three-quarters full of ice. I used crushed just because I can. Then fill with your juice mixture. If you want, you can add some Stevia or honey or sugar to sweeten it. 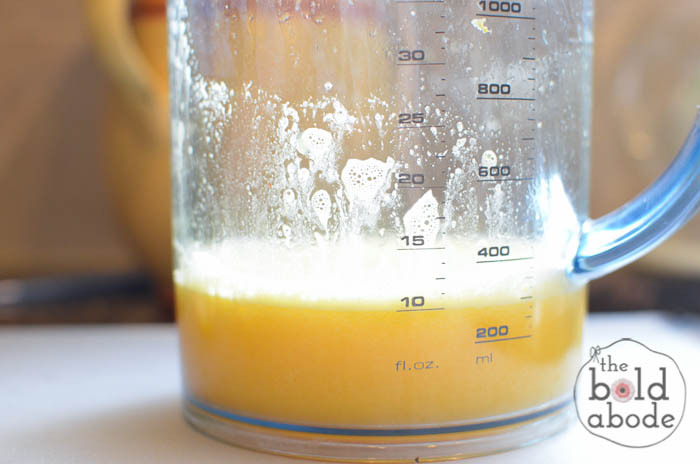 I added about a tablespoon of Stevia in the Raw. And let those bad boys fly! It’ll be hard to keep the Citrus stalkers away at this point. So just pour and enjoy! Make sure and keep a paper towel handy, because you’re sure to get a big, slurpy smooch or two from your very own Citrus Stalkers. 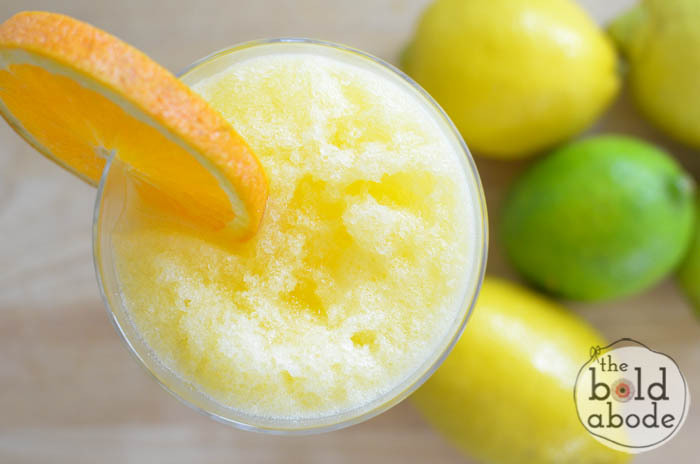 A delicious and refreshing citrus slushie for hot days! 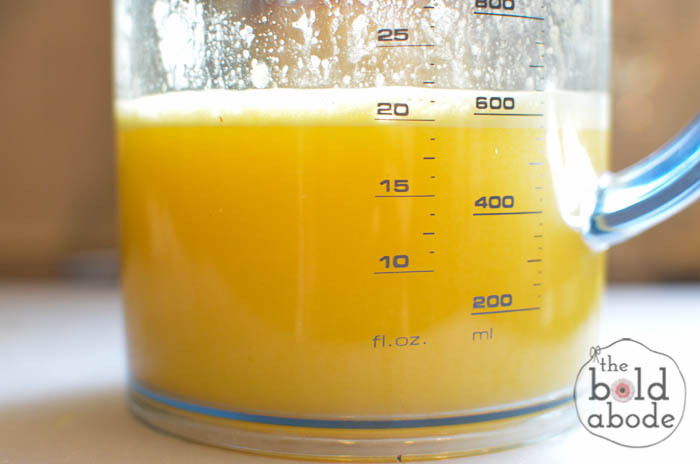 Add enough water to double your juice.